Handmade fabric book cover made entirely of high quality cotton fabrics with hand embroidy. This beautiful diary cover is machine-sewn and hand stitched. All the different colors on the hat are hand embroidered with colorful threads. 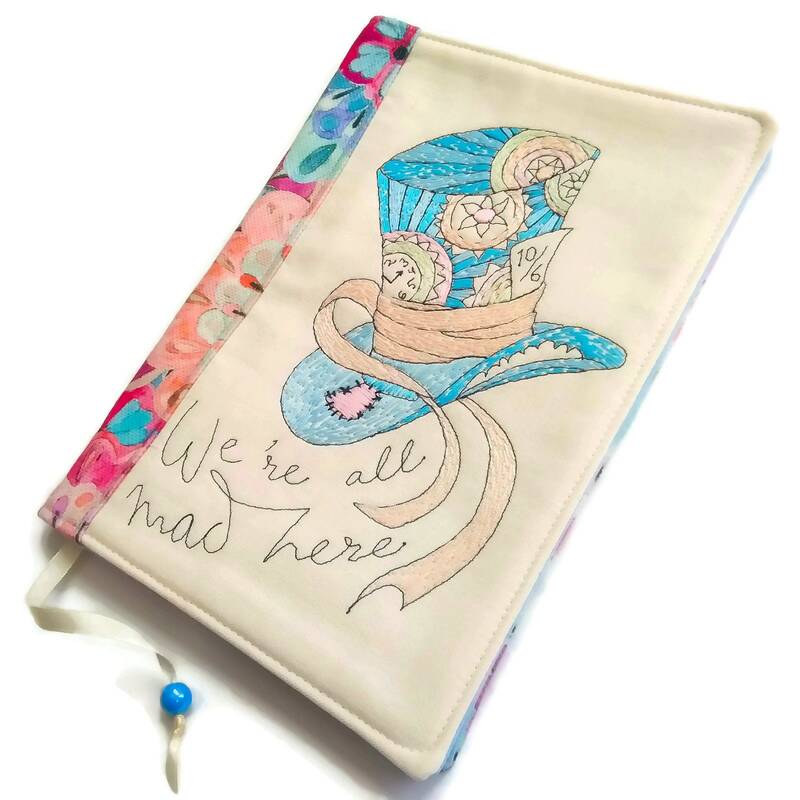 The inscription is one my favorite quotes from Alice in Wonderland book: "We're all mad here". It’s fully lined with a pink cotton fabric.